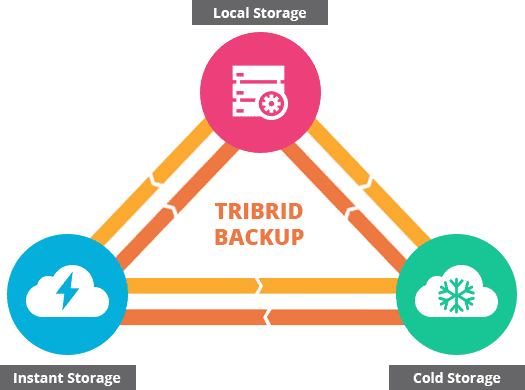 The world’s first Tribrid Backup! Not all data should be treated the same. Some users want their data at their fingertips, while others may want to store their data for archival and compliance purposes. Robust cloud storage based on the secure and reliable Amazon S3 service, used to store mission critical data that needs to be accessed on demand. Based on Amazon Glacier; serves as an inexpensive cloud storage solution, suitable for storing large amounts of data that is rarely accessed. By enabling Hybrid+, BigMIND can create a local copy of backed up files for faster recovery time; by prioritizing recovery from the local repository over instant and cold storage.